Priced to clear. It represents the standard we aspire to achieve on goods marked as such. We reserve the right to restrict the number of products you may order and to refuse any order. Only when we have accepted your order is a binding contract created between us. Wishbone Arms: 2 (1 Left Passenger Side and 1 Right Drivers Side) including wishbone bushes, and ball joints. Steering & Suspension. Steering arm type. New Land Rover Freelander 2.0 TD4 00-06 Rear Exhaust Silencer Back Box - LR188W.GBP 29.50 View Item. Ford Focus Mk1 (98-04) 1.4 1.6 1.8 1.8TD. Ford Focus Mk1 (98-04) 1.6 16v Zetec. Ford Focus Mk1 (98-04) 1.8. Ford Focus Mk1 (98-04) 1.8 TDCi. Ford Focus Mk1 (98-04) 1.8 TDDi. Ford Focus Mk1 (98-04) 2.0 16v. VAUXHALL VECTRA 2002-2009. RIGHT HAND FRONT SUSPENSION ARM. PART NUMBER UNIPART GSJ 6335. Fitting Position: Rear Axle, Fitting Position: Left, Fitting Position: Right, Fitting Position: Lower. FORD FOCUS (DAW, DBW) 1.4 16V. FORD FOCUS (DAW, DBW) 1.6 16V. FORD FOCUS (DAW, DBW) 1.8 16V. PEUGEOT PARTNER CITROEN BERLINGO 09/1998-2008. RIGHT HAND FRONT SUSPENSION ARM. 1.6 HDi & 2.0 HDi ONLY. Part Number:GSJ5572. Product Type: WISHBONE Front Left. Provide your reg number to check compatibility, the diagram is for guidance only. BMW 1 Series E87 [2003-2012] Hatchback Hatchback 116i 1995ccm 122HP 90KW (Petrol). PART NUMBER UNIPART GSJ 1193. HONDA CONCERTO (HW, MA) 1.4. HONDA CONCERTO (HW, MA) 1.5 i 16V. HONDA CONCERTO (HW, MA) 1.6 16V. HONDA CONCERTO (HW, MA) 1.6 i 16V. HONDA CONCERTO Saloon (HWW) 1.6 16V. HONDA CONCERTO Saloon (HWW) 1.6 i 16V. PART NUMBER UNIPART GSJ 3045. DAEWOO MATIZ (KLYA) 0.8. DAEWOO MATIZ (KLYA) 1.0. Fitting Position: Left and right,Fitting Position: Lower,Fitting Position: Front. LOCATION STEERING 8. THIS ITEM WILL FIT THE FOLLOWING MODELS. 04.01 - 12.04. 02.97 - 01.05. 09.01 - 12.04. 03.98 - 09.01. 09.97 - 09.01. 03.00 - 09.01. 09.96 - 09.01. 02.96 - 09.01. RIGHT HAND FRONT SUSPENSION WISHBONE. NISSAN MICRA 02-10. NISSAN NOTE 06-13. 04.06 - 07.09. 03.03 - 07.09. 03.06 - 07.09. 07.03 - 07.09. 10.03 - 07.09. 05.06 - 07.09. 03.05 - 07.09. 05.07 - 07.09. Part number NAM1432 (which is obsolete and unavailable) RH. We have many parts available for the classic mini, rover 2&400,25 and 45, maestro and montego. Will fit all montego and maestro's. Our passion is the classic mini. LEFT HAND FRONT SUSPENSION WISHBONE. FORD FOCUS 2008-2011. 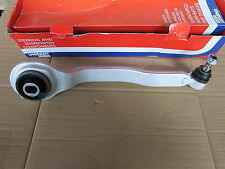 PART NUMBER UNIPART GSJ 896. FORD MONDEO (GBP) 1.8 i 16V 4x4. FORD MONDEO (GBP) 1.8 TD. FORD MONDEO Saloon (GBP) 2.0 i 16V 4x4. FORD MONDEO Saloon (GBP) 1.8 TD. FORD MONDEO Estate (BNP) 1.8 i 16V 4x4. 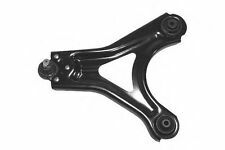 RIGHT HAND FRONT SUSPENSION ARM WISHBONE. FORD FIESTA 2008-2017. PART NUMBER UNIPART GSJ 6529. Rear - Right - Front. Jaguar X-Type 2001 CF1 [2001-2009] Saloon Saloon 3.0 V6 2967ccm 230HP 169KW (Petrol). Rear - Right - Front. Jaguar X-Type 2001 CF1_ [2001-2009] Saloon Saloon 2.5 V6 AWD 2495ccm 196HP 144KW (Petrol). 1 X PAIR PEUGEOT 206 CCCONVERTIBLE 09/2002-2006. FRONT SUSPENSION ARMS. 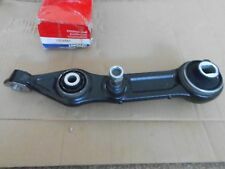 Wishbone / Suspension Arm fits HONDA CIVIC MA9 1.5 Front Lower, Right 94 to 97. all parts listed on here have been removed by myself and only listed if in good condition, i will dispatch all goods as soon as possible . PART NUMBER UNIPART GSJ 3187. SEAT EXEO (3R2) 1.6. SEAT EXEO (3R2) 1.8 T. SEAT EXEO (3R2) 1.8 TSI. SEAT EXEO (3R2) 2.0 TFSI. SEAT EXEO ST (3R5) 1.6. SEAT EXEO ST (3R5) 1.8 T. SEAT EXEO ST (3R5) 1.8 TSI. OPEL AGILA (B) (H08) 1.0. OPEL AGILA (B) (H08) 1.0 LPG. OPEL AGILA (B) (H08) 1.2. OPEL AGILA (B) (H08) 1.2 LPG. OPEL AGILA (B) (H08) 1.3 CDTI. VAUXHALL AGILA Mk II (B) 1.0 12V. VAUXHALL AGILA Mk II (B) 1.0 i. 03.05 - 11.11. 03.05 - 07.06. 01.06 - 11.10. 02.06 - 11.10. 05.08 - 11.10. 10.06 - 11.10. 09.05 - 11.10. 08.04 - 03.09. VW SHARAN 1995-2010. SEAT ALHAMBRA 1995-2010. 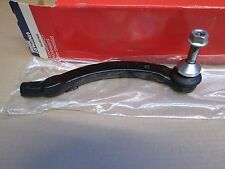 RH FRONT SUSPENSION ARM. FORD GALAXY 1995-2006. FORD FIESTA Box (JV_) D 1.8. FORD FIESTA Box (JV_) TD 1.8. FORD FIESTA IV (JA_, JB_) 1.25 i 16VConstruction year from: 01/1996. FORD FIESTA IV (JA_, JB_) 1.3 iConstruction year from: 01/1996. FORD FIESTA IV (JA_, JB_) 1.8 DI. 1 PAIR OF FRONT SUSPENSION WISHBONES. VOLKSWAGEN BEETLE 1999-2012. PART NUMBER UNIPART GSJ 4598. PEUGEOT 206 Hatchback (2A/C) 1.1 i. PEUGEOT 206 Hatchback (2A/C) 1.4 i. PEUGEOT 206 Hatchback (2A/C) 1.4 16V. PEUGEOT 206 Hatchback (2A/C) 1.6 i. PEUGEOT 206 Hatchback (2A/C) 1.6 16V. 31B120 - 31L077 - 31L078 - 31B121. 11/2000 - 05/2005. 09/2000 - 11/2003. 110KW (150hp). 05/2000 - 05/2005. 74KW (101hp). 09/2000 - 05/2005. 85KW (115hp). FORD FOCUS II (DA_) 1.8 TDCi. FORD FOCUS C-MAX 2.0. FORD FOCUS II (DA_) 2.0 TDCi. FORD FOCUS C-MAX 1.6 TDCi. FORD FOCUS II Saloon (DA_) 1.6. FORD FOCUS II Saloon (DA_) 1.6 Ti. FORD FOCUS II Saloon (DA_) 1.8. UNIPART GSJ1060. ZAFIRA 99-06. VECTRA 95-02. VAUXHALL ASTRA 98-05. 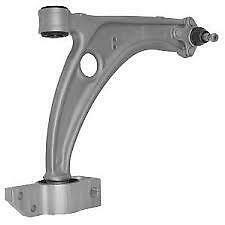 RIGHT HAND WISHBONE SUSPENSION ARM. Cone Pitch:1/8. Fitting Position:Front Axle Right. Suspension material:Sheet Steel. These must match otherwise the part will not fit! Original part numbers (only for comparison). Fitted Period. BBJ5228 - BCA6321 - BCA6320. PART NUMBER UNIPART GSJ 3534. LOCATION UNIPART ARM 1. PEUGEOT 306 Hatchback (7A, 7C, N3, N5) 1.1. PEUGEOT 306 Hatchback (7A, 7C, N3, N5) 1.4. PEUGEOT 306 Hatchback (7A, 7C, N3, N5) 1.6. PEUGEOT 306 Hatchback (7A, 7C, N3, N5) 1.8 16V. PART NUMBER UNIPART GSJ 1435. RENAULT ESPACE Mk III (JE0_) 2.0 (JE0A). RENAULT ESPACE Mk III (JE0_) 2.0. RENAULT ESPACE Mk III (JE0_) 2.0 16V (JE0N, JE0L, JE02). RENAULT ESPACE Mk III (JE0_) 2.2 12V TD (JE0E, JE0H, JE0P). PART NUMBER UNIPART GSJ 3570. LOCATION UNIPART ARM 1. NISSAN MICRA II (K11) 1.0 i 16V. NISSAN MICRA II (K11) 1.3 i 16V. NISSAN MICRA II (K11) 1.4 i 16V. Fitting Position: Front Axle, Fitting Position: Right. Fitting Position: Front Axle,Fitting Position: Left,Fitting Position: Right,Suspension: for vehicles with IDS suspension. 01.06 - 11.10. 05.08 - 11.10. 10.06 - 11.10. 09.05 - 11.10. 08.04 - 03.09. THIS ITEM WILL FIT THE FOLLOWING MODELS. We reserve the right to restrict the number of products you may order and to refuse any order. Only when we have accepted your order is a binding contract created between us. Prices remain in force until we publish new prices on our website.